Spreadsheets are a key tool in business. You can use it for project management, marketing, accounting, task management, inventory management and so on. You can use a spreadsheet as a hub and automate many of the tasks around it. Though Excel is a fantastic desktop-based spreadsheet, Google Sheet (G-Sheet) is definitely the popular web-based spreadsheet. In this tutorial, you will learn how to read a Google sheet with Golang. Go to GCP Console. You should see a screen like this. Every time I login into GCP, there is a minor change in the dashboard and layout. So take these screenshots only as a guide. Click on ‘Create Project’ button to create a new project. You should see ‘New Project’ screen. Give a name for your project and click ‘Create’. You should see the dashboard again. Be sure to select the newly created project from the ‘Select a project’ dropdown in the top navigation bar. You should see the project dashboard. 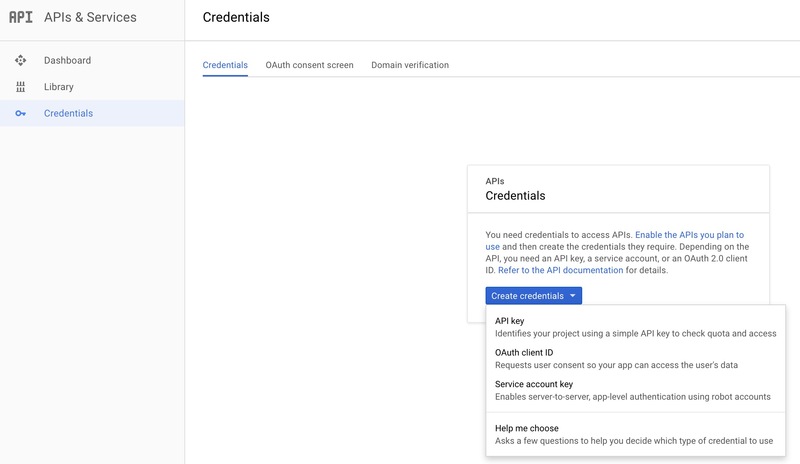 From the project dashboard screen, you can enable any Google API for the project. We will enable the Google Sheet API. Click on ‘View All’ button. It will list all the Google APIs. 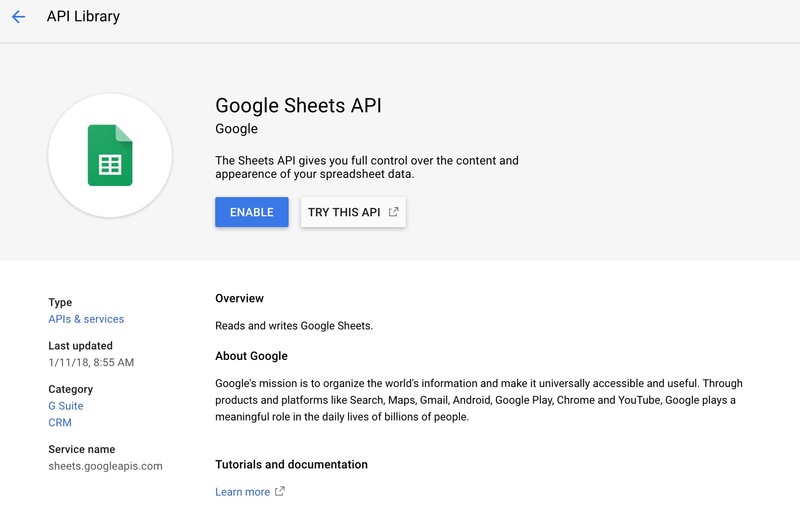 Scroll through to find the Google Sheet API. Click on it and enable the Google sheet API. For this, we will create a service account and download a client secret file. 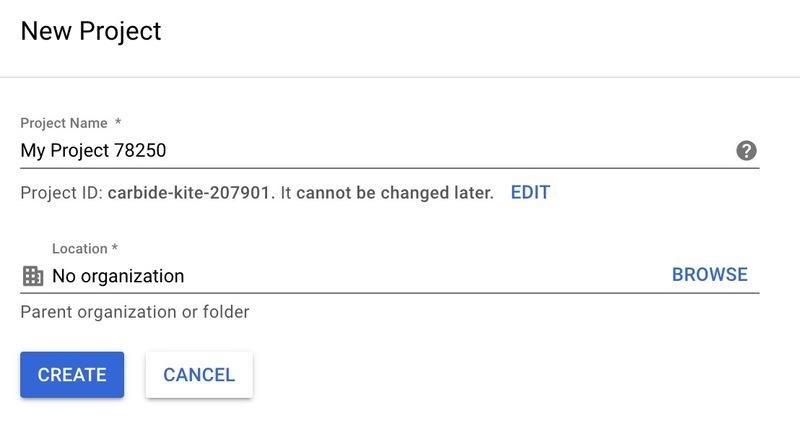 This file will contain the secret keys to access Google services. This file is like your password. Don’t check-in this file into your code repository. To do this, click on ‘credentials’ menu on the left side. Select ‘Service Accounts’. 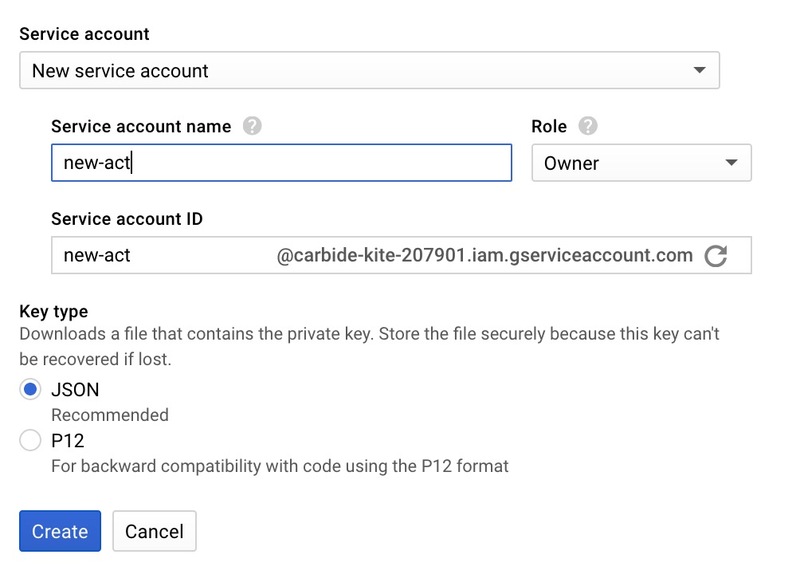 Now you can create a service account and download the client file. You have everything to get coding. Let us look at the code. Initialize using dep init. Then create this main.go. That’s it. If you execute it, it will print the two columns.